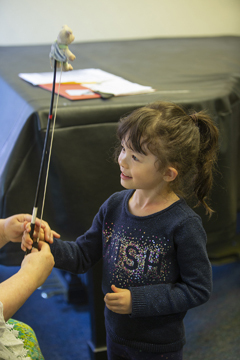 CMC Inc. (nonprofit partner at CMC) raises funds to allow the Center to offer affordable music classes and lessons, free and low-cost concerts and workshops, low-cost instrument rentals, and other music related resourses. Donate Now, or download the donation appeal brochure (PDF). Contact us to discuss a bequest or planned giving options. Consider making a matching gift to the Oregon Cultural Trust (OCT) to further support the arts and receive an Oregon Tax Credit. The Community Music Center Inc. is an eligible arts organization with OCT. The Community Music Center (CMC) is a program of Portland Parks & Recreation in partnership with the nonprofit corporation Community Music Center, Inc. For almost 60 years the Center has achieved its goal of full access to high quality musical activities, especially for those who otherwise do not have the means to afford them. To enrich the greater Portland community by providing opportunities to enjoy, learn about, and make music. Gifts of any amount gratefully received. Your gift to CMC Inc. is tax-deductible to the full extent of the law. CMC, Inc. is a 501(c)(3) organization. Tax ID # 93-0493441.